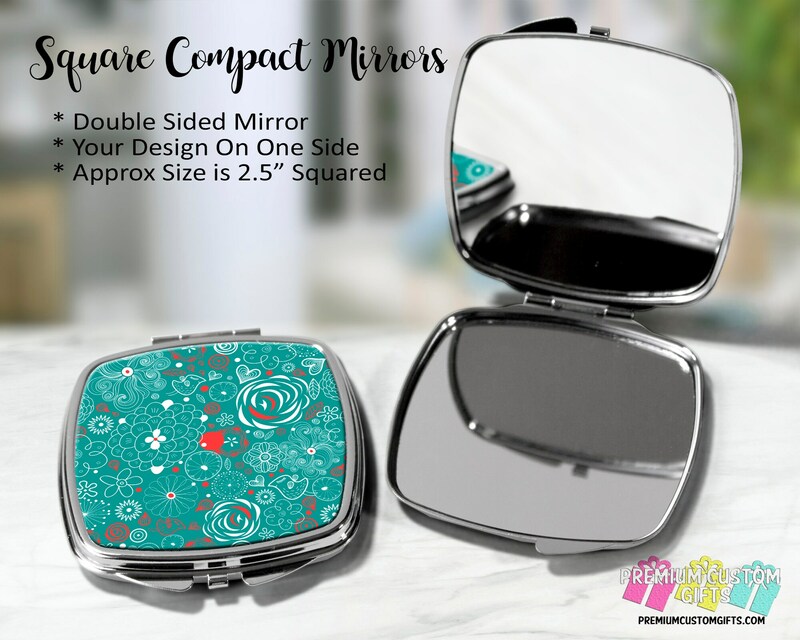 Double Sided Compact Mirror Measures 2.5" x 2.5." Makes a great gift for the cheerleader, cheer coach, and cheer moms. Also wedding party, bachelorette gifts, or for any occasion. We will not send a draft unless asked.